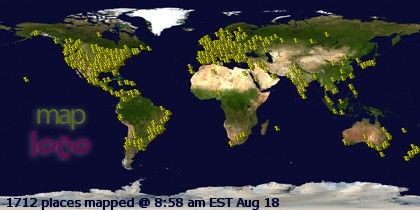 I am back to the blogosphere. There have been, and will continue to be, some big changes in my life. First of all, this one. Little William was born March 20, 2015, and is busy sucking his thumb here, waiting to be fed. 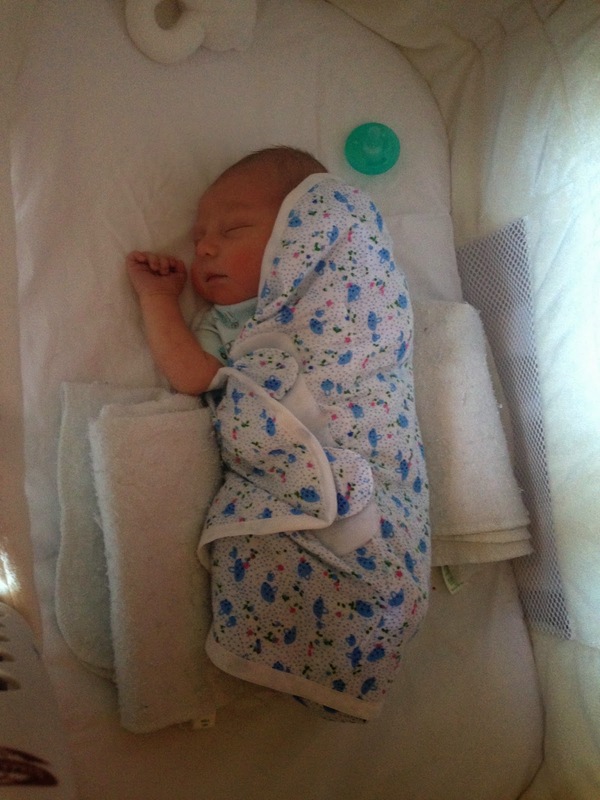 He was exactly one week old in this picture. The second is this. Looks inviting, doesn't it? 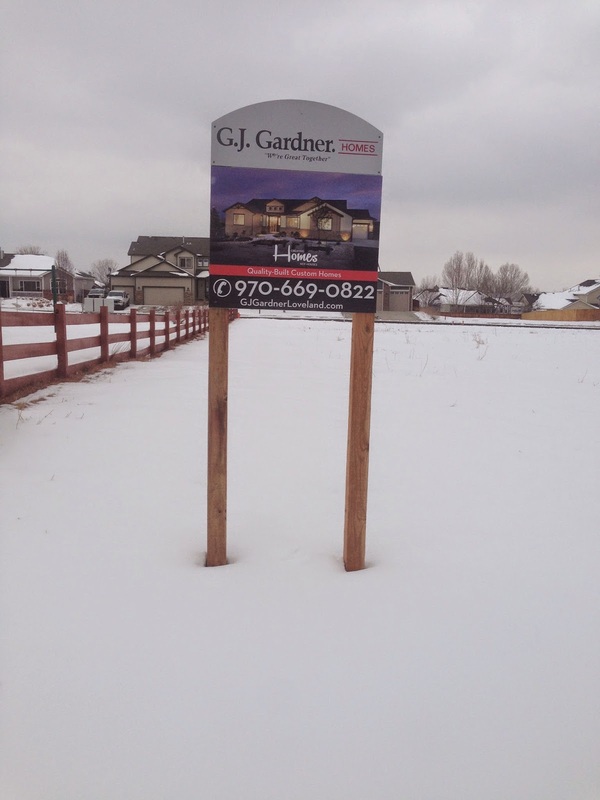 It is our new lot in Loveland, Colorado. As soon as our daughter told us she was expecting her second child Mr California Stitching and I looked at each other and said, why not? We're both retired, let's move to be near the grandchildren. So the house in California is on the market. We've already purchased the lot in Loveland and have been working on the house plans, and are very anxious to get going on building. I know it's been a long absence, and I appreciate all the emails I received for those wondering what has happened to me. I've been busy decluttering and moving all the excess furniture, books, etc., into storage to get the house ready for sale. But I haven't been entirely away from sewing. 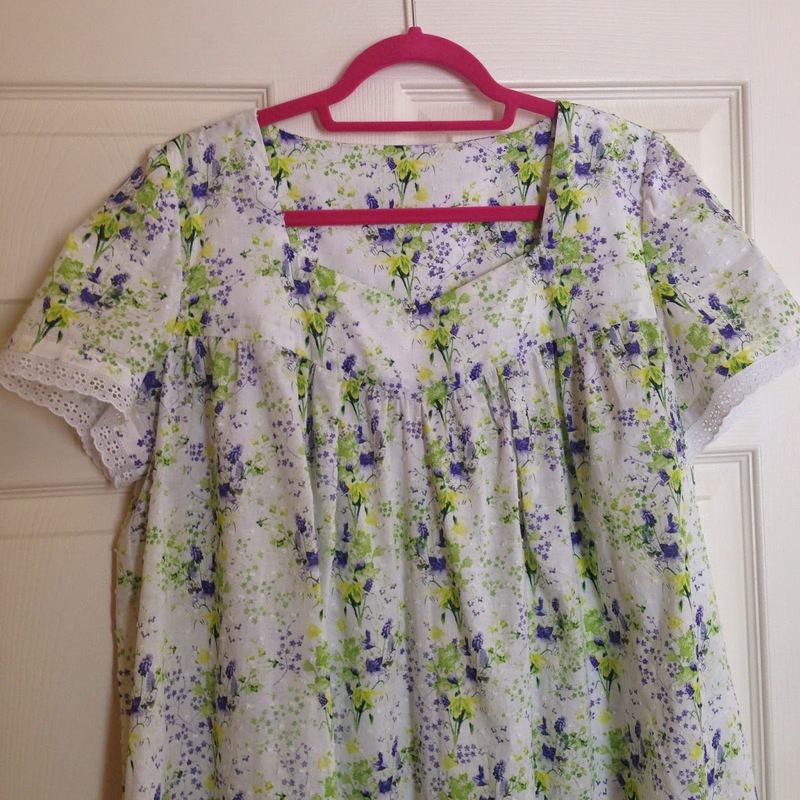 I made this nightgown (Butterick 6838, View C, with modifications) for my daughter from a cotton lawn from JA's along with some really ugly embroidered eyelet edging from the same place. I added four inches to the center front width for six inch (15 cm) long nursing slits, but it wasn't enough, either by width or length. The reviewers on Pattern Review said that while the nightgown ran large, the sleeves were tight. So even though my daughter measured at a large I cut a medium, but slashed the base of the sleeves to widen them. I also made the sleeves unlined, not lined as the pattern called for. (who made that one up?) As it turned out, it fit perfectly. 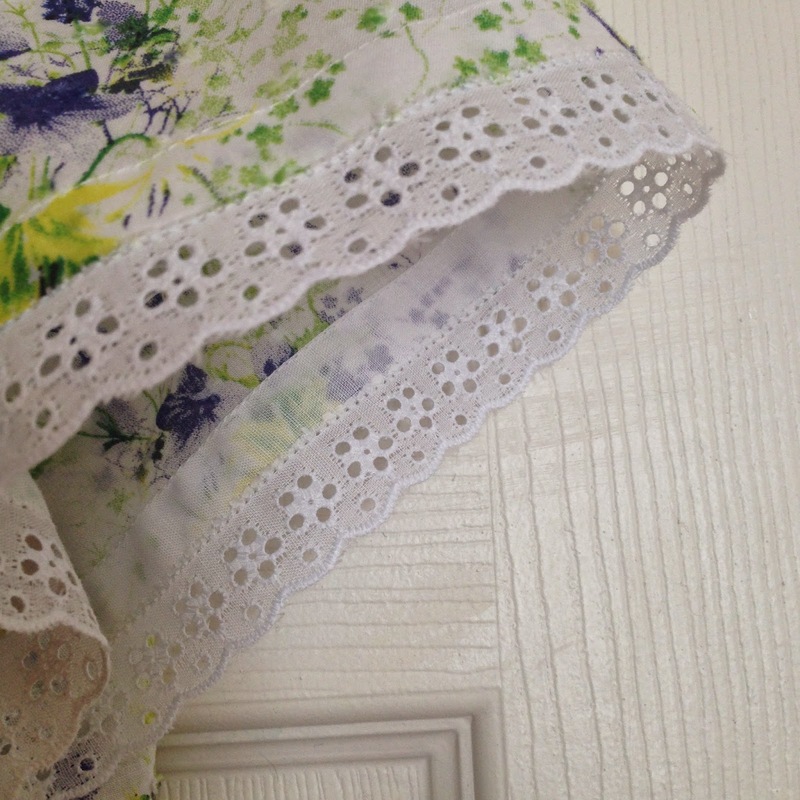 The eyelet was quite wide, so I used a modification of Jeannie Baumeister's method of attaching entredeux to fabric after I attached the eyelet to the fabric with a pin stitch. Instead of hemming the entredeux by hand, I topstitched it from the wrong side to just catch the edge of the folded eyelet. I did this for both the sleeves and hem. I bought another variant of the lawn and cut out View B, the sleeveless version, with a lot more width in the center front. But I can't bear to use any of the edgings from JA's so this next one will be plain. 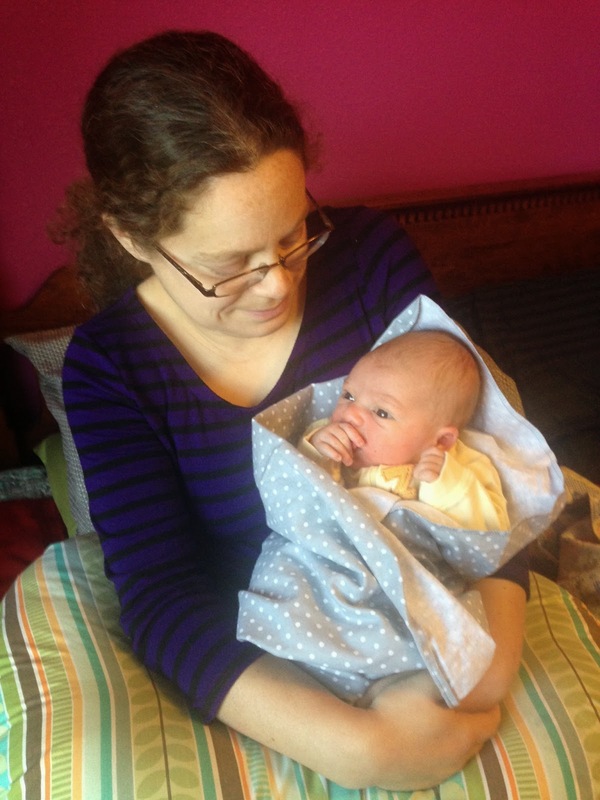 In related sewing, I made this swaddling blanket by copying it from an old pink one from my granddaughter, Bridget. Somehow his arm got loose. He was a big baby, 8 lb 13 oz, so he's almost too big for it after only a few days. So what am I doing? I'm living in Loveland in an apartment while Mr California Stitching is in the California house with Oscar the cat. Every morning I go and help get Bridget off to school, then return at lunch so my daughter can nap and then I'll pick Bridget up from school. Meanwhile, I hold the little one as much as possible. I've forgotten just how sweet newborns are.